SCHLOSSBRAUEREI MAXLRAIN is first mentioned in 1636. It was a “brown beer” brewery as was customary in those times. While a great deal has changed in the meantime, essential features have survived. 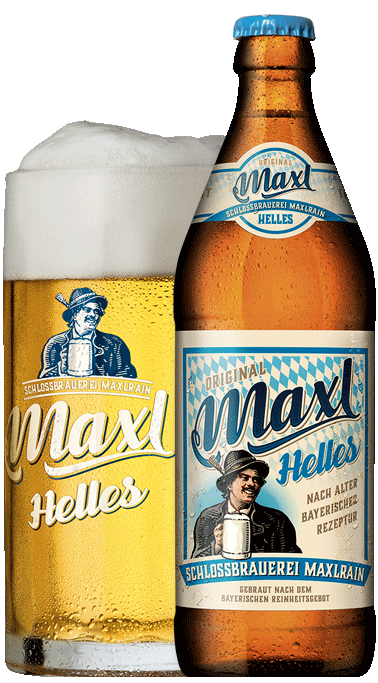 Thus, MAXLRAIN is and remains a local private brewery under independent management. The sixteen styles of beer classified under pale ale, dark ale, Pils or wheat beer are all brewed applying manual skills utilizing finest ingredients enhanced by our own source of spring water drawn from the Mangfall Valley. A company philosophy profoundly committed to quality and intensive regional activity have more than paid for themselves. 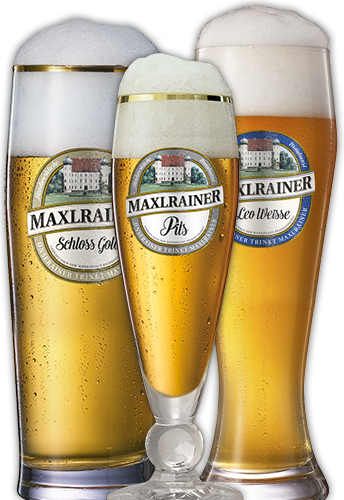 This is endorsed not only by the annual DLG Gold Medal awards and the FEDERAL HONORARY AWARD for Nutrition, Agriculture and Consumer Protection presented to the MAXLRAIN CASTLE BREWERY for eleven times running (2008-2018). It is also substantiated by daily consumers who relish our beer specialities.